As of August 2017, DiXiT has come to its official end. A volume of extended abstracts has been published by Sidestone Press, detailing the research and projects presented at the three major DiXiT conventions. 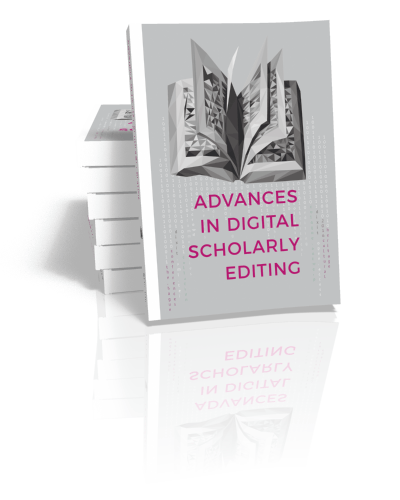 (For more information and to read the volume online, visit https://www.sidestone.com/books/advances-in-digital-scholarly-editing). Time to look back: After four years, the DiXiT fellows shared their final reports on their blog. Some numbers and facts about the project can be found in the infographic below. We want to thank everyone who was involved in the project and contributed to its success. The network of researchers and scholars that was formed during this time will continue to collaborate and advance the important issue that was at the heart of DiXiT: Studying, preserving and disseminating textual cultural heritage in the digital age.